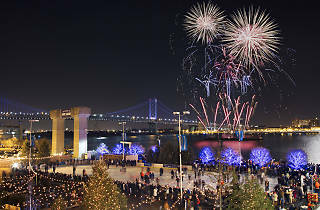 Ring in 2019 twice on New Year’s Eve with not one but two massive firework shows over the Delaware River, taking place at 6pm and then again at midnight. 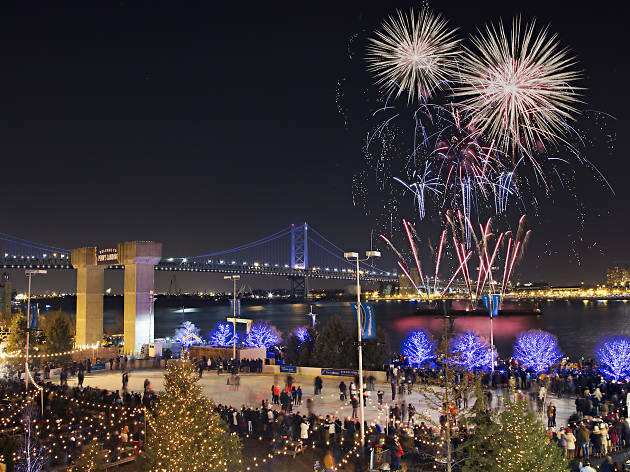 Most people congregate along the waterfront—at Penn’s Landing and Blue Cross RiverRink Winterfest—to take in the show, where they’ll be able to hear the soundtrack of catchy Top 40 tunes, EDM and nostalgic jazz classics that accompany the show. But of course, you can see it from almost anywhere in the city. Climb onto a friend’s roof deck, camp out on the stairs of the Philadelphia Museum of Art, or just look up while you’re going about your night.